Do you eat cereal? I was thinking about having a bowl of cereal for desert, as I was craving sugar. Most commercial cereal is so unhealthy it is a desert, yet it is touted as a healthy choice. But then it occurred to me that in many, many households, it is the healthiest choice they make, and how much boxed cereal improved the nation’s health when it was introduced, simply because it is vitamin fortified. That led me to think of how relative healthy eating is. While some of us worry about whether our produce is organic, if our food is locally and humanly raised, or if it is the healthiest of competing eating plans, while many people here in the United States don’t even know, or chose not to know, what they should even be worrying about. There is a vast distance between the “haves and have-nots” of nutritional awareness. Many people think fried chicken and biscuits are suitable to feed a child. Most Americans have no idea how much refined grains and sugar they are consuming, or the correlation between that and type 2 diabetes. Don’t romanticize the past. While I do believe much of our obesity problem is because of the food industry, eating like your ancestors doesn’t guarantee healthy eating. The one thing I disagree with author Michael Pollen about in his book, “In Defense of Food” was his contention that people in the past ate better. Some did, most didn’t. We may be dying from an overabundance of sugar and calories now, but people died from pellagra, beri beri, scurvy and rickets in the past. Poverty and poor availability of food were extremely common. People in the rural south at corn, but, unlike the Native Americans, they didn’t know to soak their corn in alkali to make its niacin content digestible, which caused rampant pellagra. They also liked it “degermed,” taking more of the B vitamins out. People, for some reason, like their food white and mushy. So rice was also degermed, making it “white.” Rich people ate white bread because it cost more and was “finer”, that made everyone want it. People abandoned whole wheat as being too rural or poor, which we now know was a huge mistake. Poverty was a driving force. People took advantage of each other, bakers put sawdust, chalk or alum in the bread, spices covered the smell of spoiling meat, they watered down and chalked the milk. People ate what they could afford, which might be good, like collards or beans, or bad, like fat back, white bread and mayonnaise sandwiches. The ultimate hierarchy of good eating for most people in the past was simply getting enough food to not go to bed hungry. Education was spotty or nonexistent in the past. Who was teaching about food? The local grange or cooperative extension? Home Ec. class in school? What did they teach? Did they just focus on food safety or how to follow recipes? Or did lessons of nutrition get taught? Did you only get this education if you were middle class or higher? I’ve read some grange and home ec. material from the 40’s and 50’s, and most of it was very sound. Even back then they recommended to not eat cake often. However, then, as now, people had to seek out information, and most didn’t. Cereal was invented as health food. At the time commercial cereal was invented, rich people ate whatever they liked, without regard for whether it was good for them or not, poor people ate whatever was cheap. Having read writings from the past, there was a lot of common knowledge that vegetables were good for you. But then, as now, cake tasted better. People went to spas and sanitariums as they do now, to lose weight and feel better. The sanitariums, for the most part, fed them vegetables and whole grains. It was out of these sanitariums that the cereal industry was born. Those early cereals weren’t too bad; they were whole grains that weren’t overly sweetened. Boxed cereal was affordable, so the poorer people bought it too. The government got involved. The government later demanded fortification in response to widespread health deficiencies. Bread and flour was fortified with B vitamins in response to pellagra and beri beri, milk with A&D against night blindness and rickets, salt with iodine to prevent goiter. The government also passed food safety laws. While I’m no fan of overreaching governmental influence, those things have made a huge difference. Not every parent can parent, and if you can prevent a child from having a low IQ from serious deficiencies, they at least stand a chance. You know, but you don’t know. Now we know better. As a society we are being educated to eat fruits, vegetables, whole grains and lean meats. That’s why no one eats hot dogs on buns anymore. Fried chicken has been completely taken over by grilled. And when was the last time you saw a french fry? Ok, so my sarcasm is over the top here. But seriously, do we know? Then why is there a whole aisle devoted to soda? Why is sweet tea still the national drink of the south? Why are white flour breads, rolls and cookies still out there in abundance? Judging by the success of the fast food industry, the amount of donuts brought into work, the aisles of junk in the supermarket, we still have a very, very long way to go. Getting back to my cereal. For me, it’s desert, for someone else, the healthiest choice of the day. If the choice is between cereal and a donut, cereal doesn’t look so bad. For those of us who worry about our diets and try to eat for health more than taste, try to remember “The perfect is the enemy of the good”. Many people will not give up what tastes good, in spite of being diagnosed with diabetes, heart disease, metabolic disorder or the host of other ailments that can be prevented or mitigated with diet. If we can make some of those foods healthier, or steer people away from the worst offenders, we’ll have still made a difference. It’s harder and harder to blog lately, because I feel like I’m always saying the same things. The trouble is, I am. Why? Because the truth doesn’t change, despite what people say. If you are reading this and getting a visceral reaction of “What do you mean it doesn’t change? One week fat is bad, the next it’s good, etc.” Let me elaborate before you start ranting. Oh, you wouldn’t rant? Sorry, must just be me. First, take everything you hear in the news with a grain of salt. If researchers do a study and find that omega-3’s have benefits that omega-6’s don’t, the media says “Omega-3’s good, omega-6’s bad”. Then the scientists do a study to see what the role of omega-6 is, and the media screams, “Omega-6 good for you.” When they do enough studies to see what ratio would be good, the media goes back to “Get rid of the omega-6 in your diet”. Research isn’t black and white, it’s nuanced. It leads you in a direction, it doesn’t usually hand complete answers on a silver platter. BTW, you do need both, but the American diet is lopsided. However, certain facts crop up over and over. Olive oil good for you? Check. Vegetables the royal family of nutrition? Check. Processed food bad? Check. Red meat? Maybe not as horrible for you as we thought, but still not good. I read three articles this morning. None of which had anything in them I didn’t already know. “5 Drinks You Had No Idea Were As Bad As (or Worse Than) Soda”. 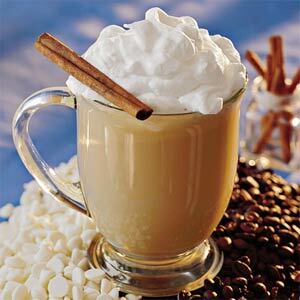 How many of you have been waiting for the Pumpkin Latte at your favorite coffee shop? I’ve been reading and saying “don’t drink your calories” for at least a decade. “9 Foods that Fight inflammation“. Ok, there was one surprise there, maple syrup. However, that still follows what I say about less processed foods. To get white sugar from cane juice, you have to remove anything remotely good. 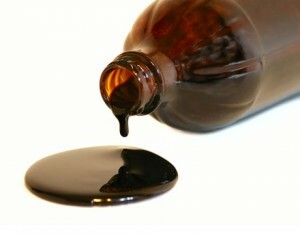 I use molasses as much as possible, as it adds flavor and still has minerals. Everything else on the list are pretty much standards that have been touted for years. inflammation is greatly impacted by your diet, and being overweight produces chronic inflammation. Get lean, eat your veggies, fish and whole grain, avoid sugar and white flour. Hmmmm, sound familiar? “Foods that are healthier than Kale”. When you see this list, it’s all green leafy vegetables. Maybe that’s a hint? “Eat your vegetables” is what I repeat like a robot. Why do I do this? Because the while the text of the message is out there, people aren’t incorporating it into their lives. I realize most people aren’t going to add spinach to their oatmeal, (yes, I do) but they can make an omelet with peppers and onions. No time? Sauté up a batch when you do have time and freeze or refrigerate in individual servings. Eggs take 30 seconds in the microwave. Still can’t do it? Have fruit instead. Just get off the white flour breakfast. And don’t tell me about all the protein, breakfast or granola bars. I have yet to find one with less than 12 g of sugar, and most have double that. Sugar is not good. Blend a smoothie instead. By now, you all know what to do. None of this should come as a surprise. When are you going to live it out? Want to go on a radical diet? Ok, ban deserts, pizza, hot dogs, and white flour. Don’t eat anything with added sugar ( I can’t do that, I love chocolate). Eat either fruit or vegetables with every meal. Make the major portion of each meal the vegetable. Radical enough? See how you feel in a month. Don’t want to go on a radical diet? Fine, eat 1/2 a slice of pizza with sautéed vegetables on it and a large salad. Hate salad? Make a big batch of soup with tons of veggies and have a bowl of that first. Have to have that hot dog? try a whole wheat bun, smother it in onions. I love the sautéed onions and peppers, have that on it. Still avoid the white flour like the plague. Following that keeps you out of the bakery department, the cookie and cracker aisle, the soda and sweetened drinks, etc. Make the easy fixes first, then dig down and get more serious. Don’t forget to eat your beans. If You Needed More Reason to Make Your Own…. So many of you might already have read this article. I heard about it from a Nutrition Diva Podcast. It’s an article outlining how the food industry really is out to get us. I don’t think there is anything new in this, but seeing it in black and white, with quotes from the people involved, really can give you pause. In my last blog post I talked about how people don’t really factor the odds of their behavior into their choices. Immediate gratification wins out for most people. This article from the Times spells out why that is. The public and the food companies have known for decades now — or at the very least since this meeting — that sugary, salty, fatty foods are not good for us in the quantities that we consume them. So why are the diabetes and obesity and hypertension numbers still spiraling out of control? It’s not just a matter of poor willpower on the part of the consumer and a give-the-people-what-they-want attitude on the part of the food manufacturers. What I found, over four years of research and reporting, was a conscious effort — taking place in labs and marketing meetings and grocery-store aisles — to get people hooked on foods that are convenient and inexpensive. Nothing new, right? How many times have you said “I must have potato chips”, “I can’t live without chocolate” or found yourself with things in your cart you didn’t want or need? Wanna feel sorry for them? Release them! Don’t buy those products. Don’t try them. Don’t succumb. What’s the easiest way to quit smoking? Don’t start. I will tell you, in the beginning, you will go through withdrawal. The language of addiction in this article is not coincidental! You started out with a biology ready to succumb to sugar, fat and salt, as those used to be hard to get, and were like bonus rounds back when starvation was a real possibility. Now, when that basic drive has been shaped and honed by scientists, working on them to trigger them over and over, you will feel a loss when you stop stoking that fire. However, in 6 months to a year, you will find that some of your previous favorites taste too sweet. You’ll be able to taste the chemicals in many of them. Non dairy french vanilla creamer- yuch- once you are off it long enough to distinguish real from fake. You know the answer; if it comes in a box, a bag, a carton, if it has more than five ingredients, and if sugar or salt are in the first two, don’t buy it. Start cooking for yourself, and if you tell me you don’t have time, I’ll tell you you are wrong. I can get a meal on the table in the time it takes you to go through the drive through at McDonalds. It does take planning ahead and preparation. I have about 6 containers of soup in my freezer for “quickies”. Before you go freaking out about GMO or vegan, gluten free, dairy free or whatever, get chemical free and junk food free. See how you feel after that. Even peanut butter has been engineered, get all natural first, and see if your peanut butter intake drops. (That was for all my friends who complain about finding themselves pigging out on that in an attempt to avoid other sweet, salty, fatty snacks) Get unsalted peanuts- you won’t find those nearly as irresistible. I just read a great article,” Is Sugar Really Toxic? “, published by Scientific America. I really enjoy articles that are thoughtful and take the time to really explore a subject, and this one delivered. If you don’t feel like reading the whole thing, I’ll give some of the high lights. Some of the studies vilifying fructose have proven to be flawed upon deeper study. Fructose when not consumed with other sugar molecules can be deeply detrimental, although not as bad as first thought. We do not process fructose the way rats do. Most foods have fructose in combination with other sugar molecules. The sugars in natural foods are packaged with fiber and other things, making the “sugar hit” your body gets much less than processed foods. Eliminating sugar without addressing other aspects of the diet does little to affect weight. Most of you know, I am anti white sugar and flour. That is an easy, no-brainer way to reduce your consumption of processed food. Reducing or eliminating processed food in your diet is an almost fool-proof way to lose weight and get healthy. However, like this article points out, sugar is not poisonous, especially as it occurs in plants naturally. If you are avoiding fruit because it contains fructose, read this article. Did you have vegetables for breakfast today? Are you asking the computer if doughnuts count? Seriously, you want to know what’s wrong with our diet? Cake is acceptable breakfast food. Many people have pointed out that a McDonalds egg McMuffin is a reasonably good choice. I would say, if you are eating doughnuts, sure, that is a quantum leap forward. Can you do better? At least a few days a week? 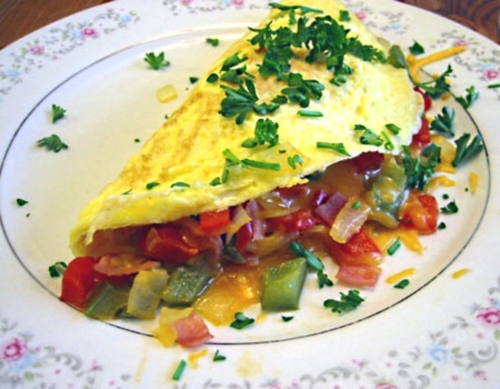 How about making an omelet with green pepper, onion, tomato and mushrooms? Too much work? How about microwave an egg, and dump a large helping of salsa on it? If you read my blog, you’ve heard about my green oatmeal, and sometime soon, my husband is going to get to try kale pancakes. He’ll love, them, I’m certain. So, let me know what you are doing to improve your breakfast. Have you heard about the raw food movement? It’s the belief that eating raw food is better for your health. I had poo-poo’d the idea, until I heard a very persuasive, rational, balanced argument on the “fitcast” podcast. I’m not going to go all the way, certainly, but I’m certainly looking for ways to add more raw food to my diet. Lets face it, the best foods to eat raw are fruits and veggies, and that is always better for you. There are people who are “paleo”- believers in eating what our paleolithic ancesters ate, who also believe in eating raw meat. As much as I love sushi, I’m not going to eat meat that is less than rare, although I do like rare meat. So, are you raw? At least a little? How about a salad a day? On the continuum of health, this is the basic. 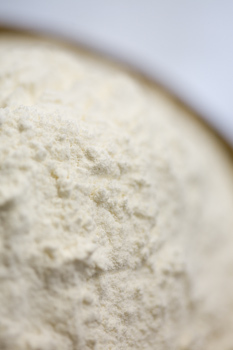 How much white flour and sugar are you eating? How about pasta and potatoes? I’m not totally against potatoes, they are a vegetable, but it does depend on what you do with those potatoes. My daughter did a 21 day sugar abstinence. Can I challenge you to try it? What do you think YOU can do to reduce your consumption of those things? What have you done? Seriously, stop drinking your calories. I am not a smoothie or juice person, they digest too quickly and you are tossing the fiber. Drink water, eat your calories. This doesn’t have to be 100%, but if you are having trouble losing weight, look at your beverages. And don’t try to hide behind sugar substitutes, they have more problems than a resident of a rehab.